Some release updates for you from Legendary Pictures on some anticipated 3D projects in the coming years, namely Duncan Jones' WARCRAFT and Sergei Bodrov's SEVENTH SON. First up lets discuss WARCRAFT as I've played World of Warcraft and love it. It's about time that a feature based on this popular MMORPG (Massively Multiplayer Online Role Playing Game) hit the screen! Right now I prefer LOTRO (Lord of the Rings Online) as it is entirely free to play - although paying a tiny bit here and there make things much more enjoyable. But I digress. WARCRAFT is coming from a very vibrant and expansive universe. The groundwork has all been done in the game as far as environment and flora / fauna, and now comes the story. Whether they weave the movie's story into the gameplay's story to some degree remains to be seen. I definitely think we will be seeing some of the lore introduced at least. 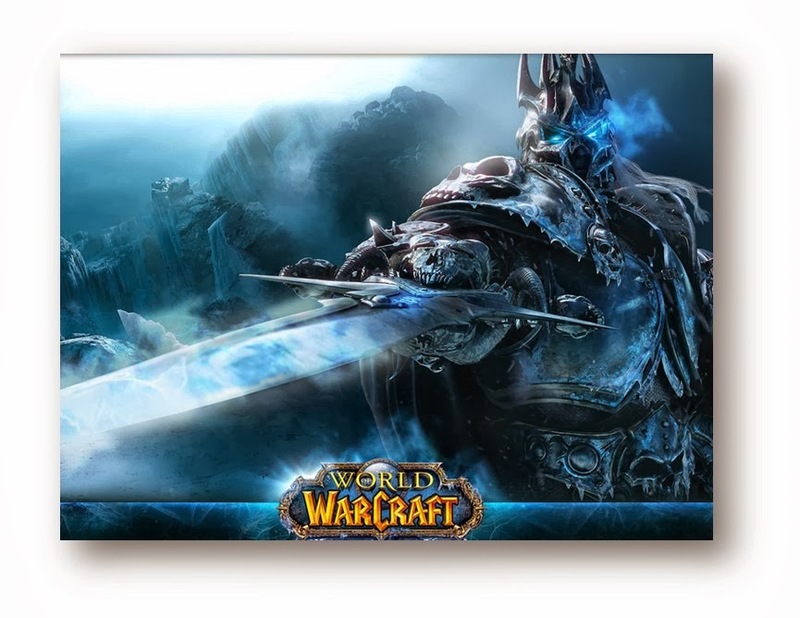 Legendary Pictures’ WARCRAFT, a 3D epic adventure of world-colliding conflict based upon Blizzard Entertainment’s globally-renowned universe, will be directed by Duncan Jones (Moon, Source Code) and is written by Charles Leavitt and rewritten by Duncan Jones. The producers are Charles Roven, Thomas Tull, Jon Jashni and Alex Gartner. Stuart Fenegan, Jillian Share and Brent O’Connor will serve as executive producers. Blizzard’s Chris Metzen will co-produce. Next up is SEVENTH SON. From the storyline below it sounds as though it could come from a WARCRAFT universe as well (it won't). But I love the direction Legendary is taking with these projects and I'm hoping for more! SEVENTH SON will be released on February 6, 2015 and distributed by Universal Pictures. In a time of enchantments when legends and magic collide, the sole remaining warrior of a mystical order (Oscar winner Jeff Bridges) travels to find a prophesized hero born with incredible powers, the last Seventh Son (Ben Barnes). Torn from his quiet life as a farmhand, the unlikely young hero embarks on a daring adventure with his battle-hardened mentor to vanquish a dark queen (Julianne Moore) and the army of supernatural assassins she has dispatched against their kingdom. Sergei Bodrov directed SEVENTH SON from a screenplay by Matt Greenberg, Charles Leavitt and Steve Knight, based on the book “The Spook’s Apprentice” by Joseph Delaney. The film is produced by Basil Iwanyk, Thomas Tull and Lionel Wigram. Jon Jashni, Brent O’Connor and Alysia Cotter are executive producers, with Jillian Share and Erica Lee co-producing. More updates when I get them!